George Dawson is a docent at the San Antonio Missions National Park. 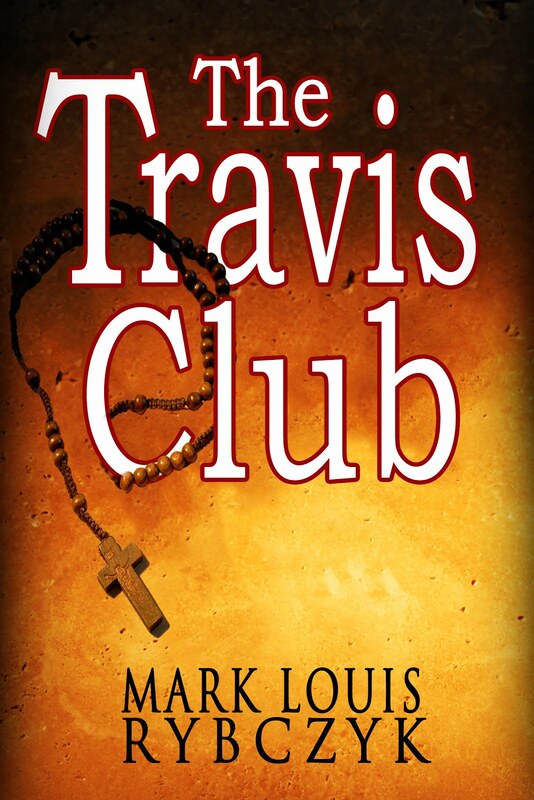 He had heard a local legend concerning Mission Concepcion. It took ten years to verify, but it was true. Franciscan Monks from 270 years ago were sending us a message, but it only appears once a year. 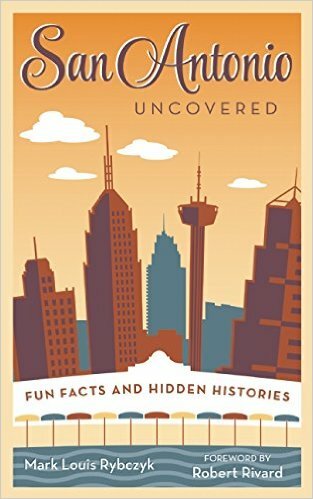 The mystery starts in the early 1700s, when Franciscan monks came to San Antonio and started 5 Missions along the river, Mission De Valero (better know today as the Alamo), Concepcion, San Jose, Espada and San Juan Capistrano. 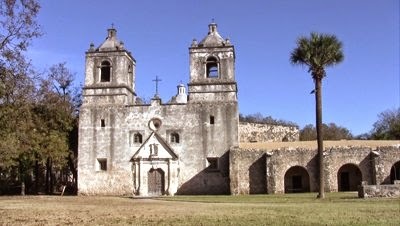 The Missions offered the indigenous people of South Texas protection from Indian attack and disease. It also offered a complex system of acequias that created irrigated farms that help to protect against drought and starvation. However the true ‘mission’ of these outpost were to convert the natives to catholicism and subjects of the Spanish crown. Today, the four remaining missions are all active Catholic parishes with many of today’s members able to trace their ancestry back to the original parishioners. Because of this, many believe that the Missions have always been intact and active. This is a mistaken notion. The Mission period in South Texas actually ended in the early 1800s when they became secularized during the 1824 Mexican Revolution. 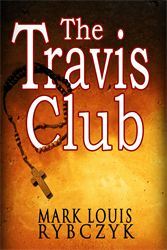 Shortly thereafter, the Governor of Texas ordered the Mission’s surrounding property to be sold. Mission De Valero, better known as the Alamo, is a well documented example of what became of a former mission. Over the years it has been used as a fortress for revolutionaries, an army depot and a wholesale Grocery warehouse. The others suffered similar fate and were left in a state of disrepair and decay. Slowly, different Catholic orders came to San Antonio and saw an opportunity to restore these chapels. Mission Espada was one of the first to return to active status with the arrival of French Priest Father Francis Bouchu in 1858. 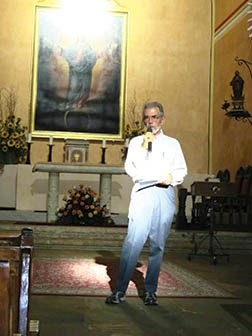 He helped to rebuild and restore the decaying church. Later he helped to save Mission San Juan to the south. Benedictine monks from Pennsylvania arrived in San Antonio in 1859 and worked to restore San Jose in hopes of making it a mission. The Brothers of St Mary who came to the city to establish St Mary’s Institute (and later St Mary’s College) were given farm land at Mission Concepcion to grow food for their students, and for a time used the chapel as a barn. 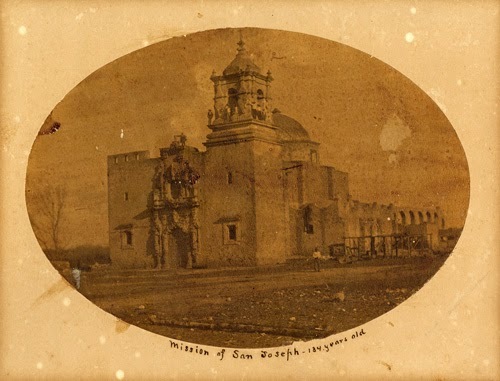 Caption Reads "Mission San Jose - 134 Years Old"
In the early 1900s, the local Catholic Diocese regained control of the four remaining missions, but the church had little funds for preserving these decaying relics of the Spanish crown. Of all the missions, San Jose was in the worst state. The chapel and granary’s roofs had collapsed as had the tower. The ownership of San Jose’s surrounding grounds were also in dispute having passed through many hands over the years. The mission who have slowly become a modern day ruin if it were not for the preservation efforts of the San Antonio Conservation Society and the US Government’s Civil Works Administration in the 1920s and 1930s. Of the 4 remaining missions, only the chapel of Mission Concepcion withstood the test of time. It is still in its original condition and stands as the oldest unrestored stone church in the U.S. The church’s exterior was once painted with brightly colored geometric designs that attracted the indigenous people to the compound. Those have faded over the years, but many of the Mission’s original interior frescos are still intact. Today the 4 Mission are under the watchful eye of the National Park Service and are constantly observed and cared for. But the many years of decay, neglect, multiple owners and restoration have take their toll. Particularly when you consider that one of the Missions most amazing secrets was almost lost forever if it were not for the tenacious efforts on a National Park docent named George Dawson. Dawson had heard a local legend from a retiring docent that light through various windows at Mission Concepcion illuminated certain parts of the church on various religious holidays. It took ten years of research and observation for him to verify that the Franciscan monks who built the mission were sending us a message. On August 15th, 2003, Mr. Dawson discovered that on the annual Feast of the Assumption, (held every year on that date to celebrate the Assumption of Mary into heaven) at 6:30pm, light from the two west facing windows would meet behind the alter to illuminate a painting of Mary. 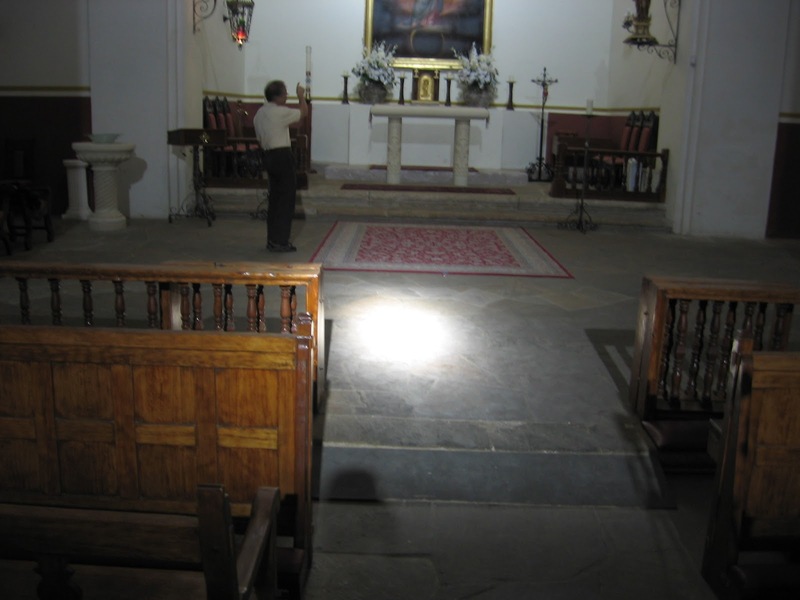 Simultaneously, a lens above the door created a beam of light that would center under the church’s dome. The phenomenon is called Solar Illumination and was used to convey the presence of God to Native Americans, as the ‘Light” is a metaphor for Christ. Through the years, Dawson discovered numerous illuminations, including three from the south window of Concepcion’s Dome that marked the Feast of the Immaculate Conception on December 8th and the winter solstice 2 weeks later. 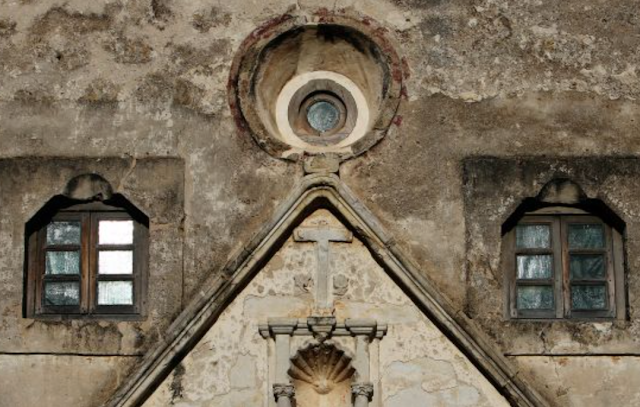 San Antonio's Mission Concepcion - The Oldest Unrestored Stone Church in the U.S.
A few years later, a similar illumination was noticed at Mission Espada, when beams of light lit the statue of St Francis of Assisi, (the Franciscan’s founder) on October 4th, the Feast of St Francis. On March 9th, on the Feast of a female St Francis, the illumination effect returns to Espada. The recent discovery of Solar Illuminations is yet another way for us to appreciate these relics of the Spanish Crown. Today as part of both the National Parks System and the local Catholic Diocese, all 4 missions are involved in ongoing restorations. That, along with living farms, functioning acequias, active congregations and the Mission Reach section of the San Antonio Riverwalk, the Missions have created a lasting appreciation for the oldest part of San Antonio. In 2015, the rest of the world discovered the sites, as they were designated a UNESCO World Heritage Site. The UNESCO designation was the first in Texas and only the 22nd in the US.